Pinterest has just acquired two-man startup VisualGraph, which creates machine vision, image recognition, and visual search technologies. 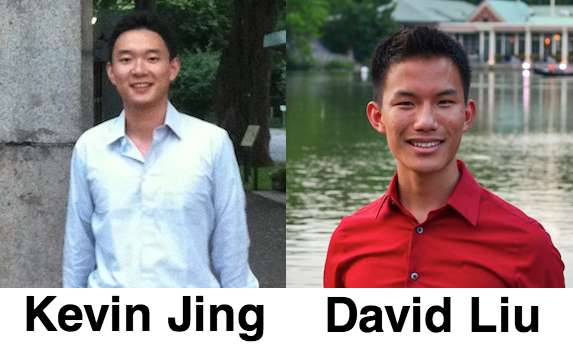 The company’s founder Kevin Jing and his partner David Liu are joining the Pinterest engineering team today. By understanding the visual content of what people pin, Pinterest could suggest other content or show people more relevant ads. For example, even without text or tags, if you pin a lot of long dresses, VisualGraph could help Pinterest recognize the shape of clothing, and let it know to show you similar apparel, opposed to short skirts. You can see VisualGraph’s image detection tech in action in the images below. Right now, Pinterest is working on a monetization strategy that is expected to focus on ads. Making those ads a seamless part of the service and impactful enough to earn serious money will require them to be highly relevant to viewers. Machine vision and image recognition could help Pinterest match ads to users who pin and view similar items. Imagine how Google’s “Search By Image” system works where you upload an image and get back ones that look like it. Pinterest could offer a similar feature, or just scan everything you pin to build out a secret file on what you like. It’s not farfetched. In fact, Google’s visual search features were what VisualGraph CEO Kevin Jing was working on at Google after he joined the company in 2004. VisualGraph employee David Liu was in the middle of his computer science master’s degree at Stanford when he joined the startup, and had previously interned at Google, Palantir, and Facebook. The part about shopping should titillate investors who are anxious to see how it will make good on the $564 million in venture capital it’s raised to date. By making Pinterest easier to navigate through visual search, people could use it more like a shopping site than an inspiration discovery time sink. And where there’s search, there’s room for relevant ads that hit people who already have purchase intent — which could be very lucrative for Pinterest. Not all images are created equal: while billions of photos are shared everyday, only a portion of them (e.g. arts & crafts, trending designs) has the potential to motivate, captivate and inspire large number of people. If all the worlds’ images were connected as a graph in some way, these would be the most special nodes. And today we couldn’t be more excited to announce that we are joining Pinterest! We like to thank the employees, contractors, advisers, and investors who have supported us. We will be joining the Pinterest today and can’t wait for what’s next!